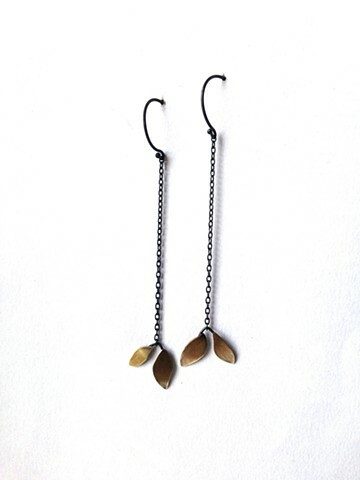 This delicate drop-style earring features 2 brass leaves on an oxidized silver chain. The curved French ear wire adds some flair. This earring will swing along with you all day into the evening.